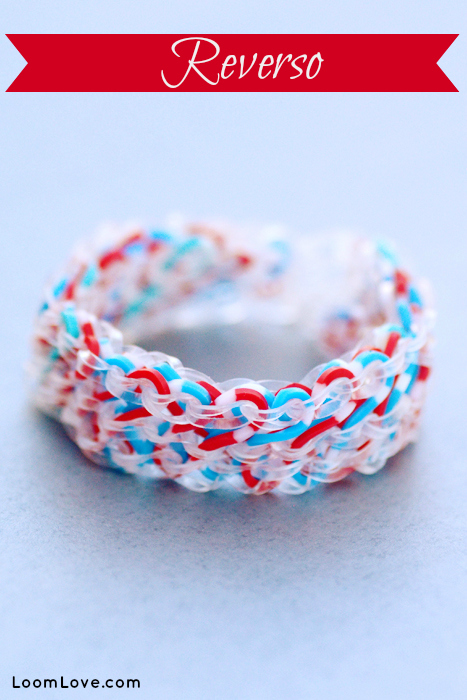 We happen to think the Bouquet, designed by our Aunt Susan, is pure Rainbow Loom eye candy! 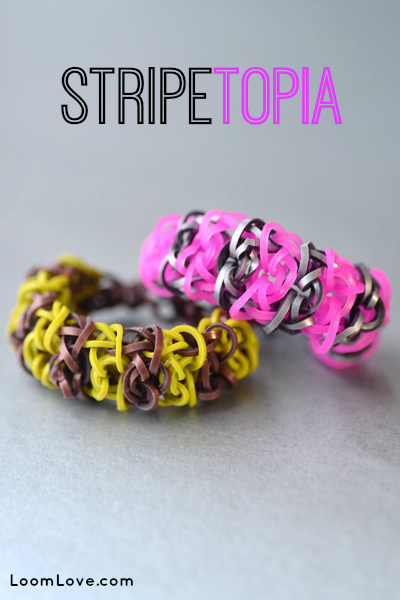 It looks fantastic in rainbow colours – but, truthfully, it looks great in almost any colour combo! 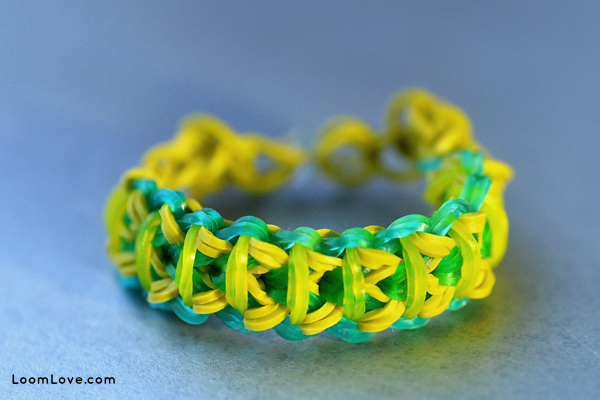 This is not a difficult bracelet to make – even for beginners. It’s a step up from the Triple Single. 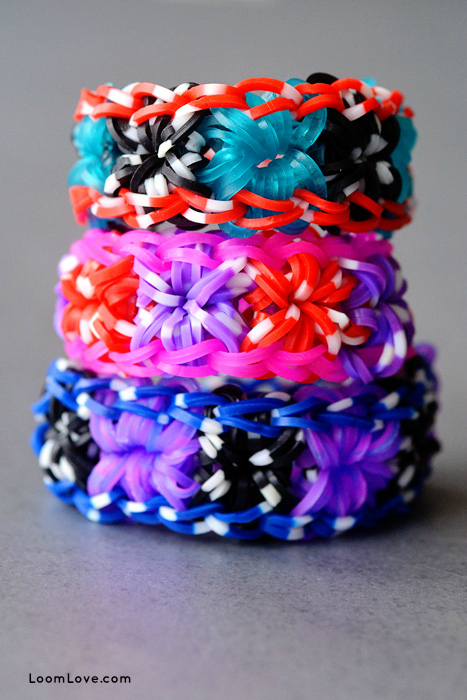 We’re in the middle of a snowstorm right now – the perfect time to be dreaming about wildflowers – and dreaming up new Rainbow Loom bracelets! 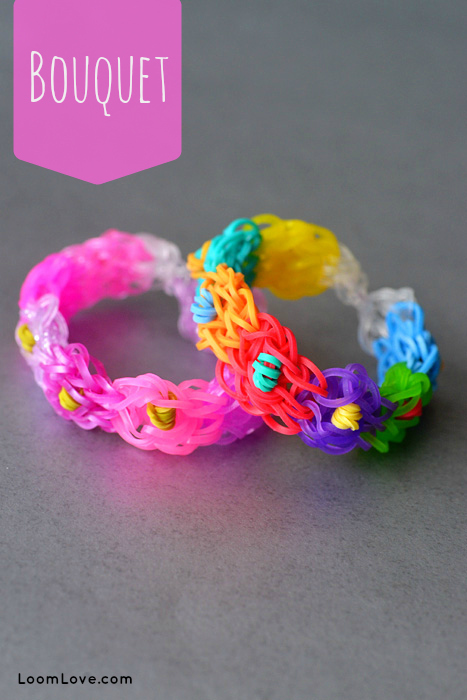 We thought we’d put our brand new polka dot loom bands to use on our Wildflower bracelet. 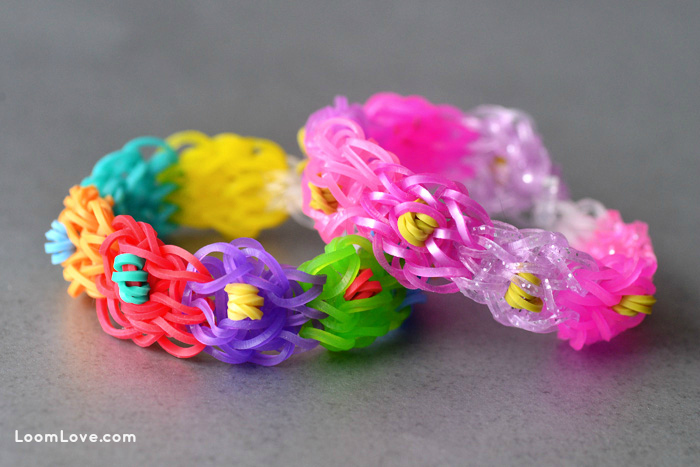 (If you are looking for polka dot loom bands, you can find them here. )What do you think? The Reverso is a cinch to make – and it’s, well, reversible! 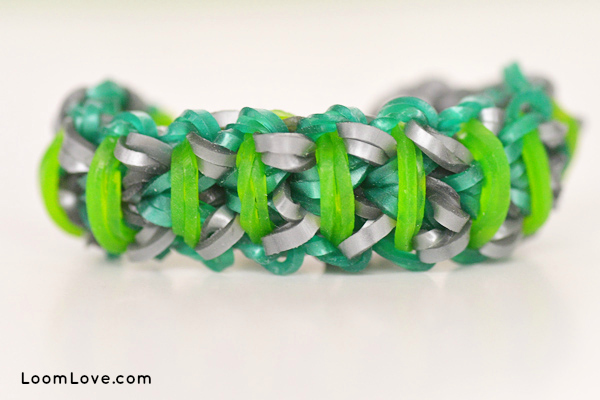 This bracelet design is similar to the Triple Single – except for the cross bands. 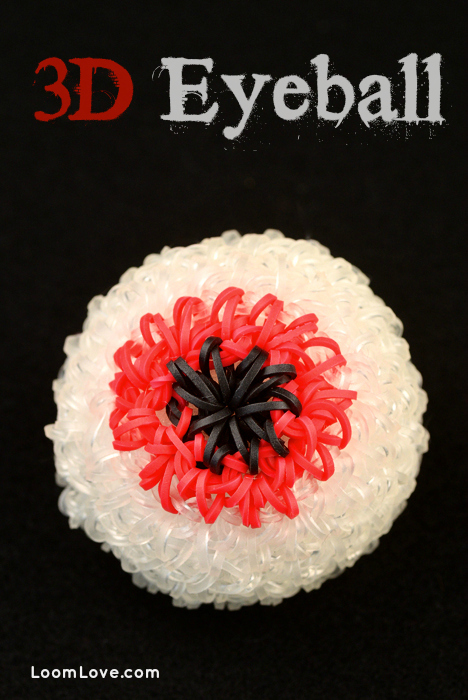 Thanks for the design, Emma! 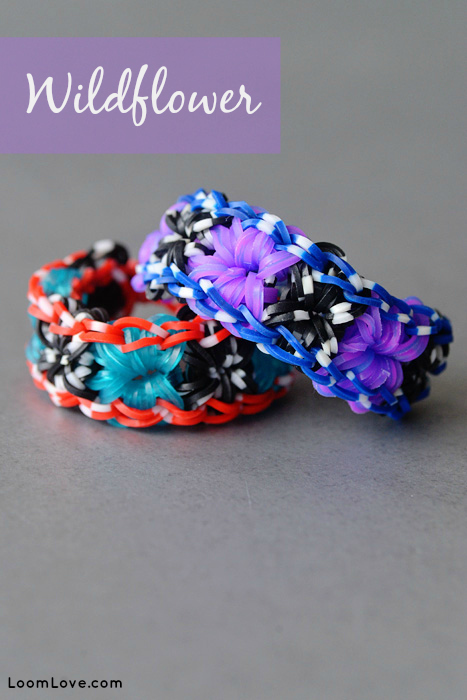 Are you new to Rainbow Loom and looking for an easy peasy design? 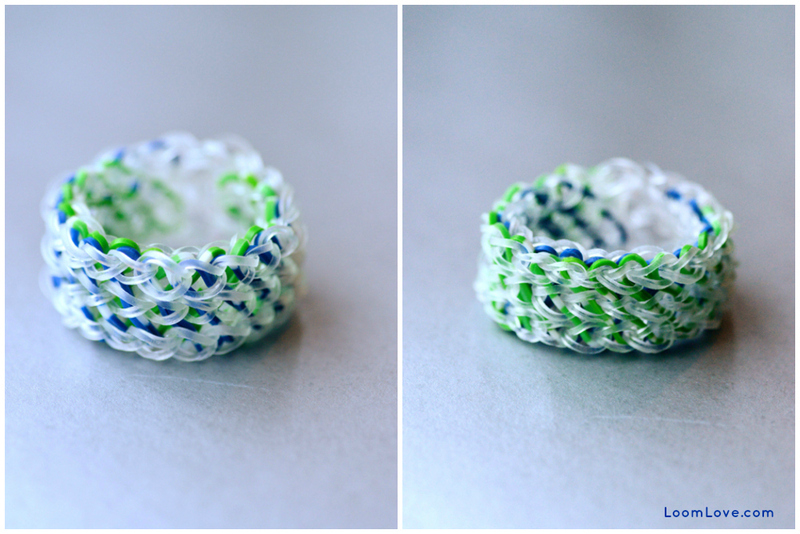 We were inspired to name it this from Olivia’s Looms and Crafts awesome Tuliptopia bracelet. 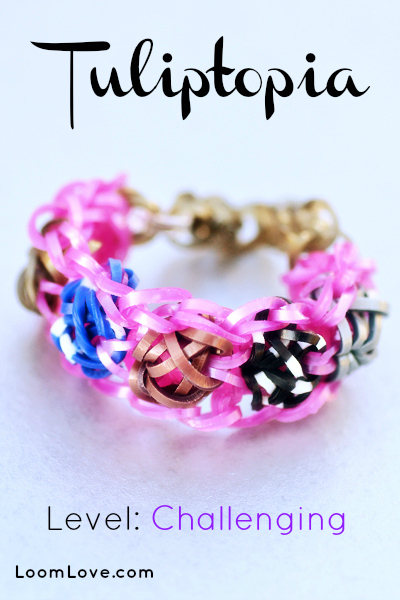 2014 is going to be a year filled with new Rainbow Loom bracelet designs! 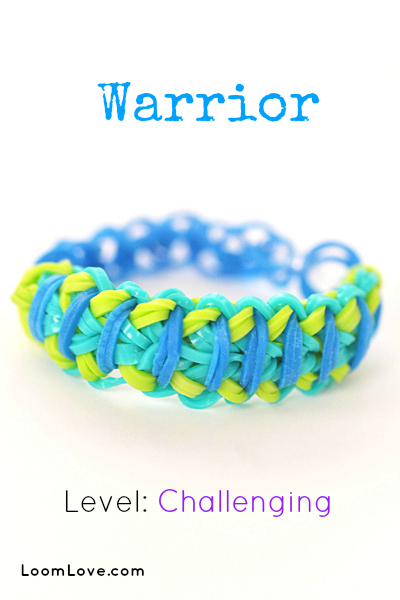 Our first bracelet of 2014 is called The Warrior. What do you think? 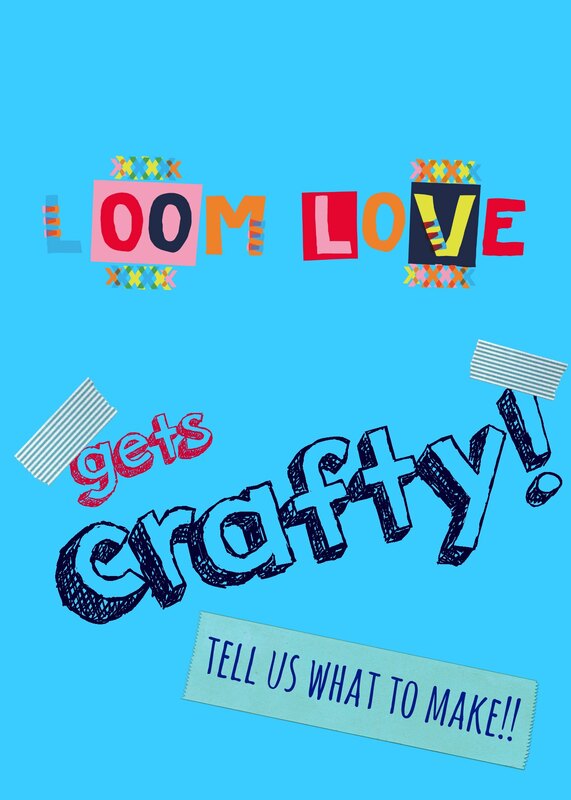 We’ve reached a milestone here at LoomLove.com. 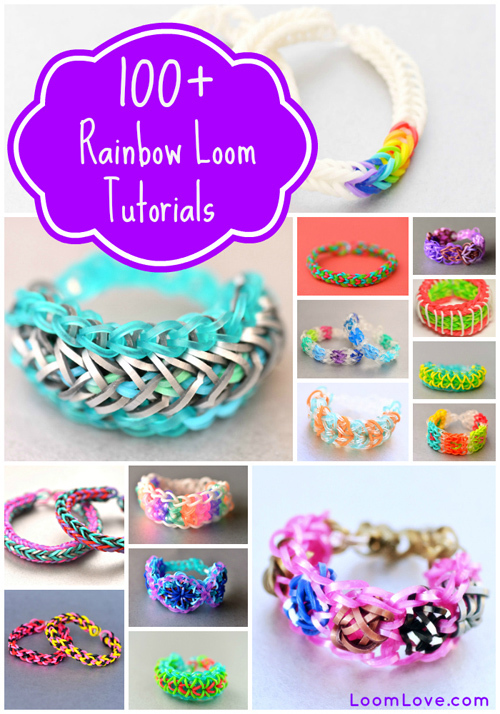 We now have more than 100 Rainbow Loom tutorials! Who knew that a simple birthday gift could inspire such an obsession! 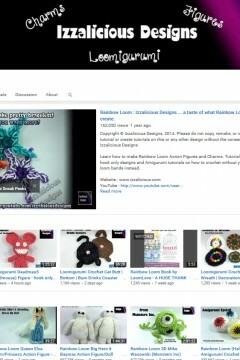 We add new tutorials almost every day – so make sure you keep coming back to see all of our latest additions. 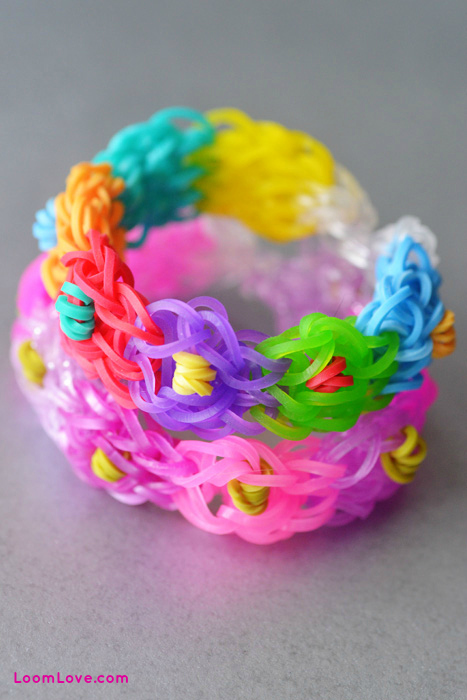 We’re also working hard in the Rainbow Loom ‘lab’, coming up with a whole bunch of new inventions! Don’t forget to subscribe to our Youtube channel, like us on Facebook, follow us on Instagram and on Pinterest too! 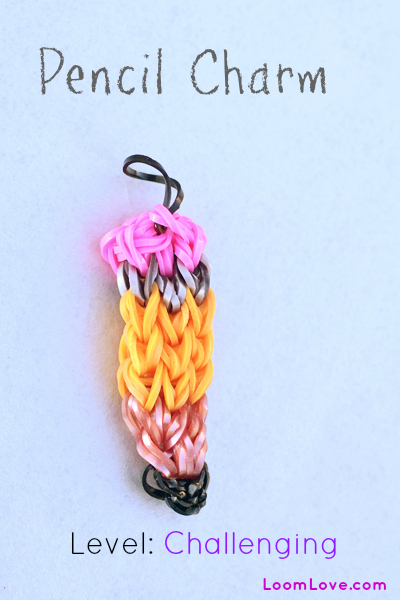 We made a Pencil Grip – why not make a Pencil Charm?